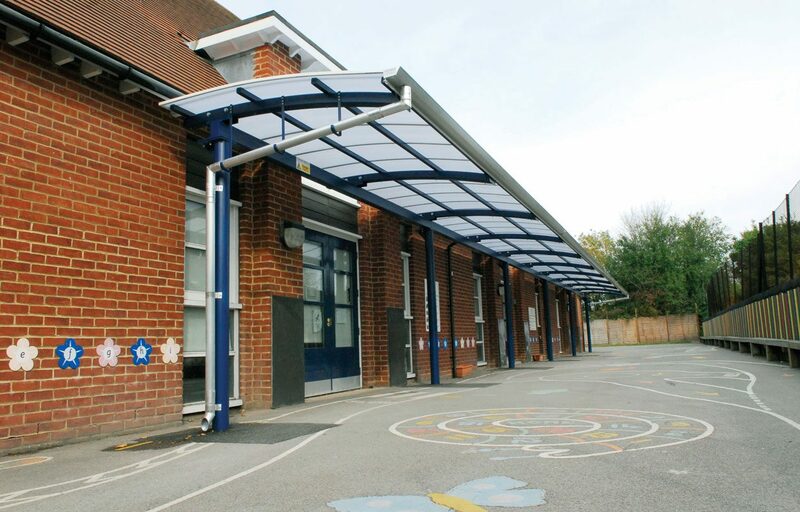 Steel cantilever canopy for infants school. 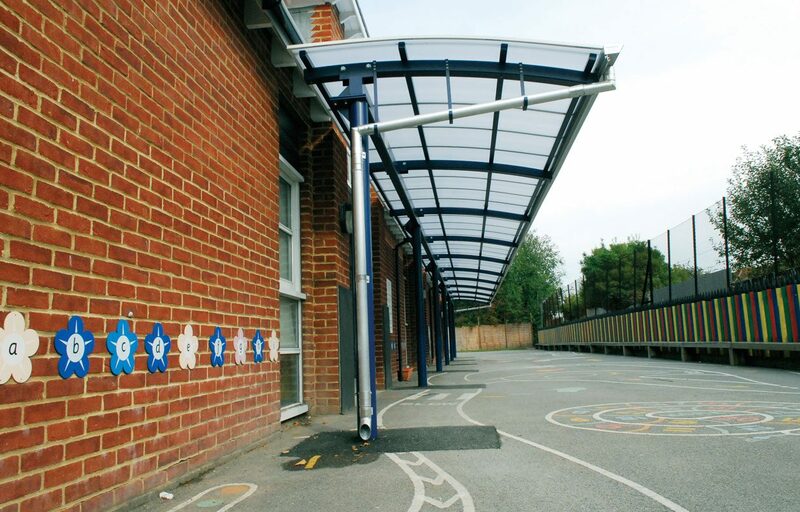 This cantilever canopy protects students from the weather while waiting to enter classrooms. 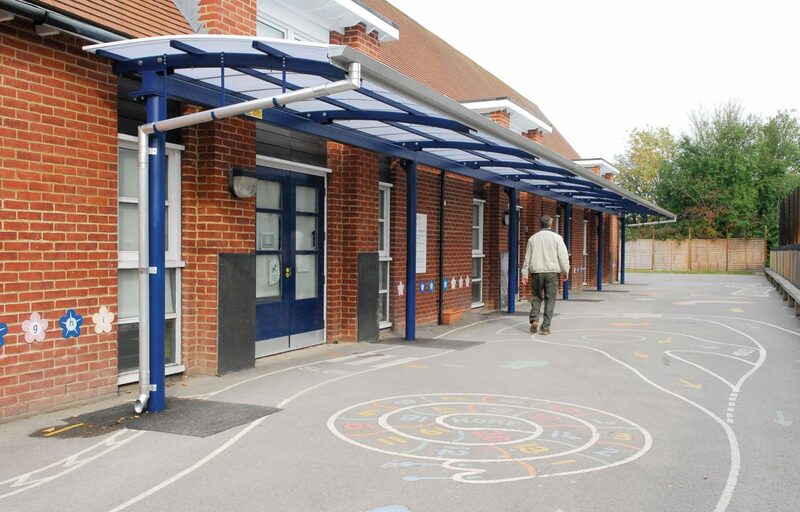 The cantilever design avoids the need for posts at the front of the structure, was chosen to allow fire engine access to the playground. It was the first of its kind in design and is now an official product of Fordingbridge. Finished in the organisations colours, the structure has a 25 year guarantee. All of our steel work is designed and manufactured by our in-house technical team, meaning precision in design and engineering and speed of manufacture for your convenience. Fordingbridge is a fully CE mark approved manufacturer of steel fabrications.